200 Daily Food Decisions – Do You Know How Many You Make? In two research studies by Cornell University, the researchers found that individuals were unaware of all the food decisions they were making on a daily basis and they were unaware about how their environment influenced their decisions. Many people believed they were making 15 food choices when in fact they were making 219. One of the reasons people underestimated the number of food choices was because they only considered food choice and forgot about food consumption. decisions. The former determine what we eat (soup or salad); the latter determine how much we eat (half of the bowl or all of it). The other reason people underestimated the number of decisions they made was because they did not believe their environment was an influence on their food consumption and did not want to believe that they were susceptible to that kind of environmental manipulation. We all want to age gracefully. May be in the back of your mind or the front of your mind or maybe staring you right in the face at this very moment is the fact that you are no longer a youngster and need to start treating your body with some care. 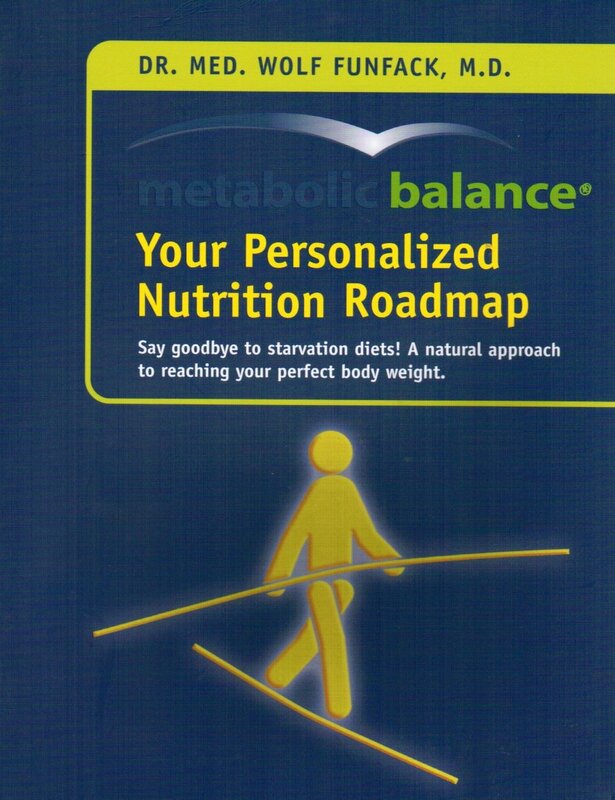 As metabolic balancers, you are aware of how important vegetables are to your diet. Fill your plate with vegetables at each meal and make sure that you are trying different combinations and eating through the rainbow not just sticking to the colour green. Add deep red tomatoes, carrots and orange bell peppers to your daily vegetable intake. If you are not finding enough colourful vegetables at your grocery store, look for a farmers market near you and see what yummy vegetables are in season. Here is a link to the crop calendars for each US state. Knowing what vegetables are in season makes it easier to plan your menu around healthy and fresh produce. Here are an example of some vegetables available in the midwest. Below are links to helpful resources to find a farmer’s market near you. A few weeks ago, we shared an infographic about mindful eating. This week, we would like you to actively work on being mindful while you eat. Look at the options below and try to do one of these each day. Write down how you feel. If you want, you can even share it with us on Facebook. Take the first few sips of a cup of hot tea or coffee with full attention. Do not eat and read at the same time. Alternate activites. Read one page and then turn away form your digital device or book and take a bite of food. When you are done chewing, turn back to the book or digital device. This will take you longer to accomplish both tasks but you will find that you remember eating our food, it won’t just disappear. Eat in silence for the first five minutes of your meal. It can be without purpose or you can ask everyone sitting at the table to think about the way the food ended up in front of them and the people who made your meal possible. Try eating one meal a week mindfully, alone and in silence. Pay attention to how this feels for you and if it changes what you decide to eat and how you eat it. Here is a mindful eating article from the NY Times. The article delves into mindful eating and how companies like google are bringing mindful eating into the workplace. Start by eating one meal a day mindfully. Set a timer for 20 minutes. 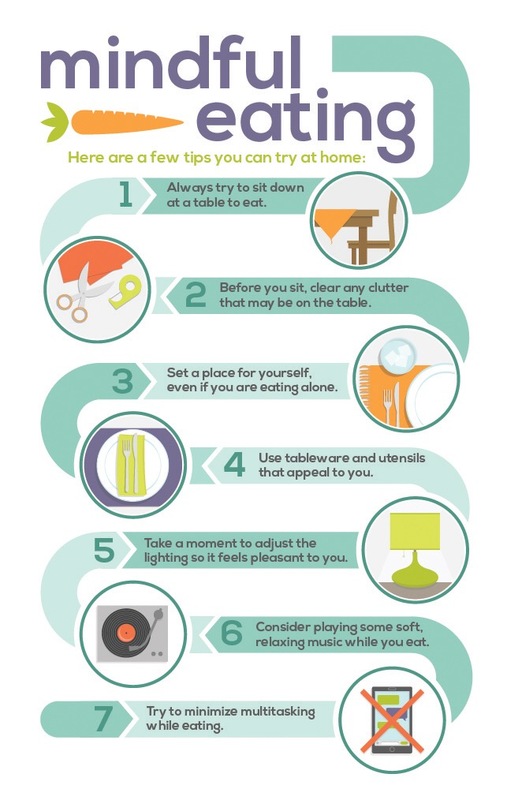 Sit at the table for at least that time period without turning on the television or using a digital device. Before opening the fridge or cabinet, take a breath and ask yourself, “Am I really hungry?” Do something else, like reading or going on a short walk before going back and grabbing something to eat.